A 20-year-old who set her house on fire last year was apprehended Thursday. 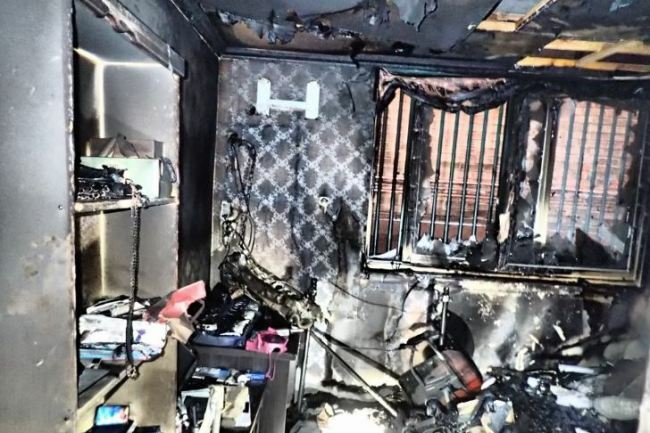 According to Gwangju Bukbu Police on Thursday, the suspect, surnamed Baek, set fire to her home on Nov. 22 after breaking up with her boyfriend. The suspect is believed to have started the fire by turning on the gas stove with a plastic object on it. As the fire spread, Baek escaped into the bathroom and called her boyfriend. The suspect, then 19, was rescued by firefighters, while some 10 other tenants had to evacuate from the building. Some 12 million won ($10,783) of properties were damaged. Through the investigation, the police found the suspect has a history of starting fires after getting drunk. The National Forensic Service on Friday released the judgement of the fire to have started from the gas stove. The police requested an arrest warrant on Wednesday to further investigate the incident with the result.